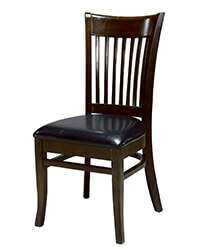 Ladder back dining chair is one of the most classic wooden dining room furniture. It takes a place in both American farm house style and modern Nordic style. Why? Beacuse they provide good function and formal apperance. 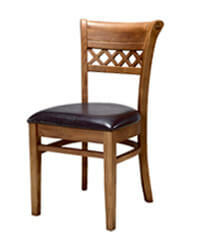 The design of backrest is the core of the whole structure of dining chairs. 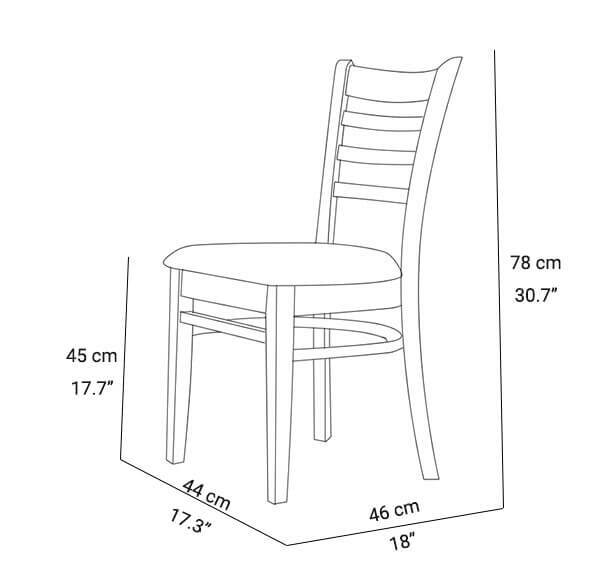 Generally, we can divide the backrest of dining chairs into five categories. 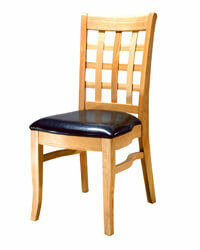 They are ladder back, carved back, stripped back, round back and upholstered back chair. 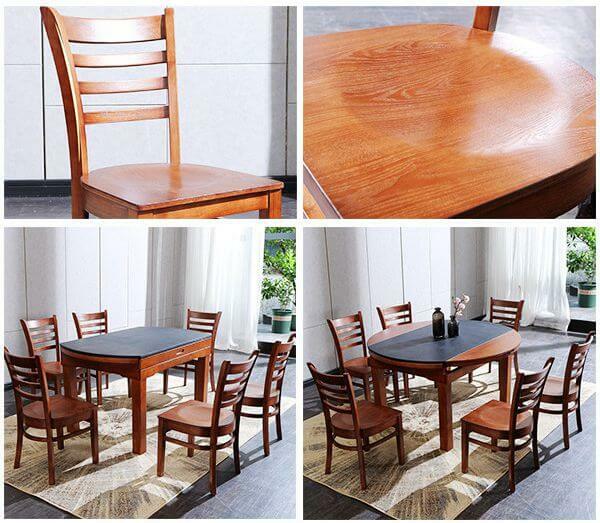 The right dining chairs and table will do wonders to your home. They're going to unify the area. When producing a comfortable dining room, they immediately update the space. The ladder back dining chair can be suitable using in many areas. Such as home, restaurant, bistro, cafe, hotel, office and etc. 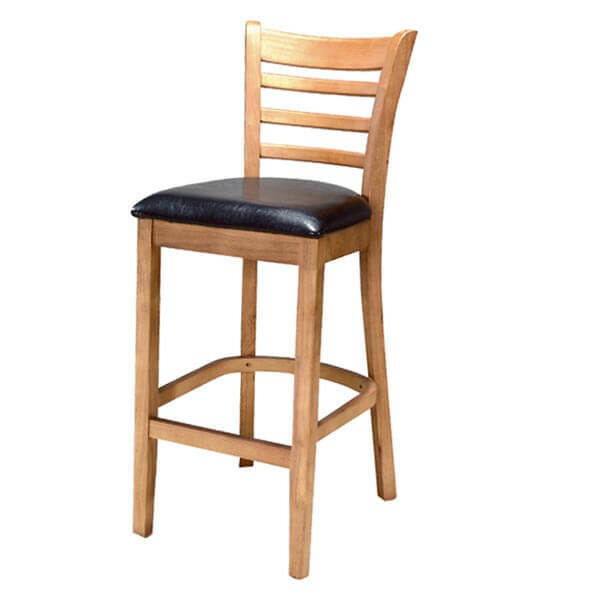 Ladder back chair is usually made in solid wood material. Ash, oak and beech are the most popular ones. Genuine or Synthetic Leather and textile upholstery are options to be added on the seat. So it can provide more comfortable sitting feeling. What’s the color of chairs? 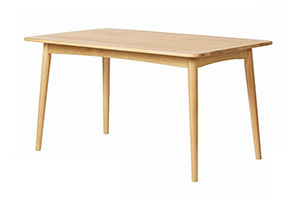 The right dining sets will do wonders to your home. Color of the chairs can make the dining place cohesive. 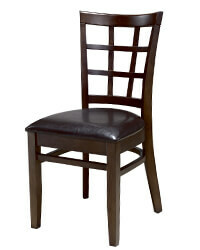 Usually we paint the chairs in natural, walnut, dark walnut and cherry colors. 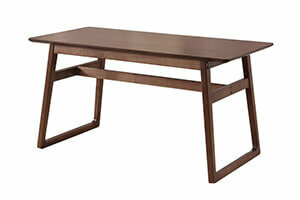 Natural and walnut colors are the best selling colors. 17.7" x 18" x 30.7"
Customized design is welcomed to email us. Contact us for more information and to get best pricing! 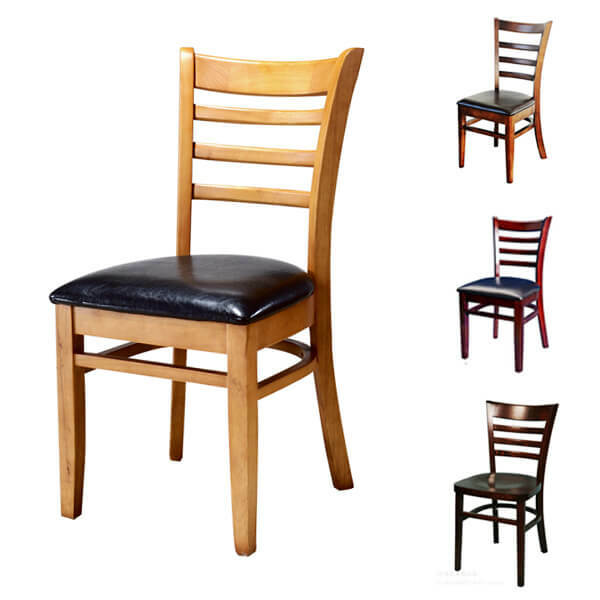 Whether style, pillar or backrest design, and seats, the ladder back dining side chairs are beautiful chairs, very suitable for any decoration. 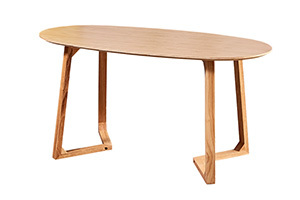 We specialize in Modern Wooden Furniture and accessories. Includes various contemporary residential and commercial dining room and living room furniture, wooden dining chairs and tables, plastic chairs, bar stools and restaurant sofas. We accept any customized design furniture. At present, our products are sold to all over the word, such as Oceania, South-East Asia, Europe, North and Soutn America, ect. 1.Quality control: High quality and professional QC staff,strict quality control in each process. 3. Sample can be provided. 4. Provide good service after sale and make sure you buy our products without worries in the future. * For any after-sales questions, you can contact Customer Service and get a response within 24-hours. Copyright © FOSHAN NORPEL FURNTITURE CO.,LTD All Rights Reserved.